It seems to be a rite of Spring for the crew at Asian American Life, the show I host, to make the trek to the Bronx in search of tropical weather in March! 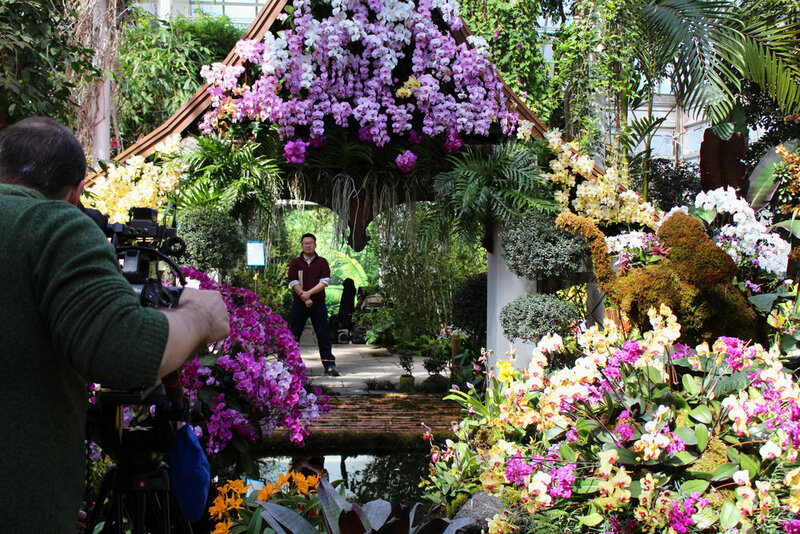 Yes, we're back at the New York Botanical Garden to film the opening of our show. Our first scheduled shoot was cancelled because of the blizzard. But luckily we were able to reschedule for two days later. It was 20 degrees outside and balmy inside the Haupt Conservatory. 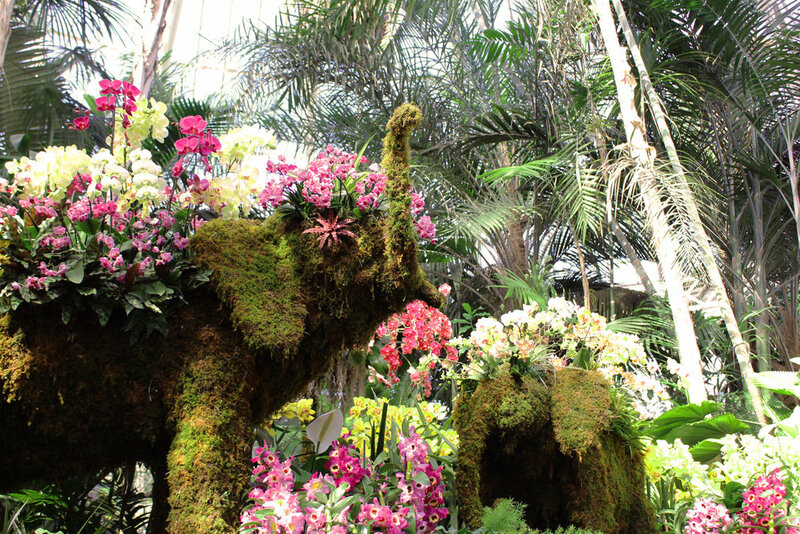 If you like orchids, flowers and tropical heat, this is a must-see exhibit. 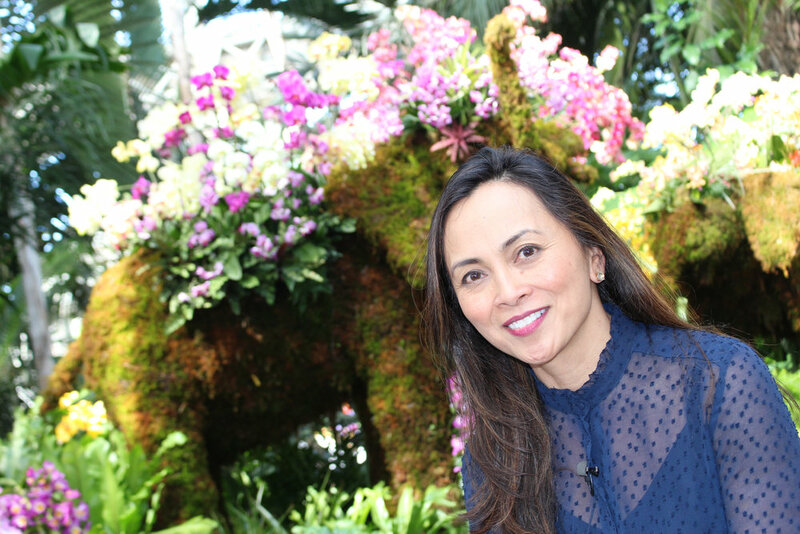 This year's theme is Thailand, which is home to more than 1,200 species of orchids.Thailand is the largest exporter of orchids to the world. The flowers, the scent from the blooms and the Spirit Houses brought back memories of my recent trip to Thailand. It was also the perfect venue to practice my photography skills! The exhibit will be up until April 9th, so don't delay or you'll have to wait until next year!